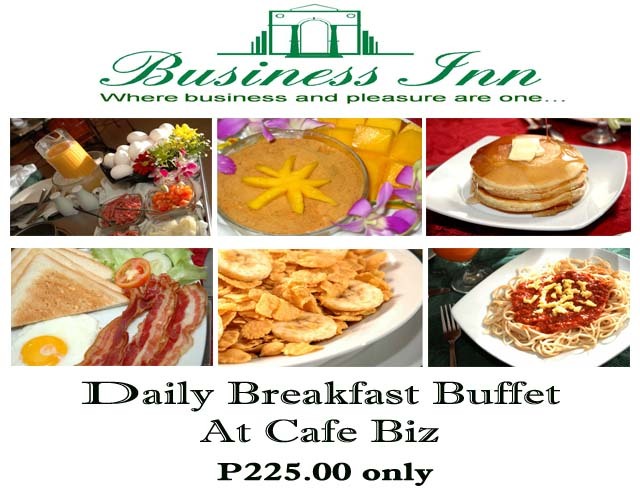 Daily Breakfast Buffet At Cafe Biz Enjoy our daily breakfast buffet for P305.00 only. Cafe Biz is one of the most popular spots in town. 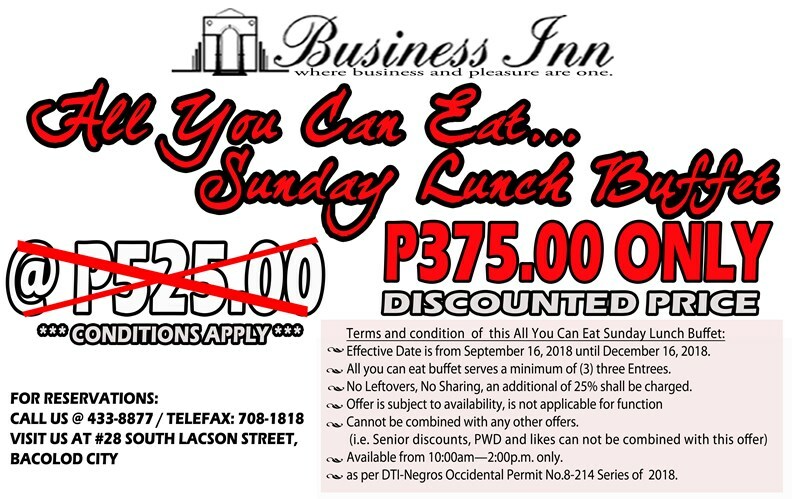 We feature innovative continental cuisine with a relaxing ambiance and great customer service! At Business Inn, we take pleasure in providing you the perfect venue for those extra special occasions in your life.